Let us begin with a short introductory tale, paraphrased. . .
Second Man: So, kid. . . what’s your name? Whaddya go by? Second Man: Joe Bari? Aw, no, that’s no good, too fake. Let’s think of something better. What’s your real name? What do we have to work with here? First Man: Anthony Dominick Benedetto. Second Man: Whoa! OK, that’s a mouthful. Hmm. . . but why not stick with something close? How about. 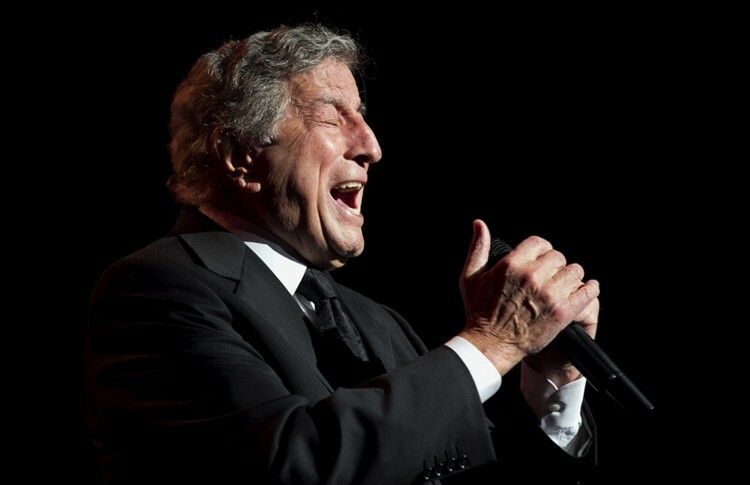 . . Tony Bennett? Yeah? First Man: Tony. . .Bennett! 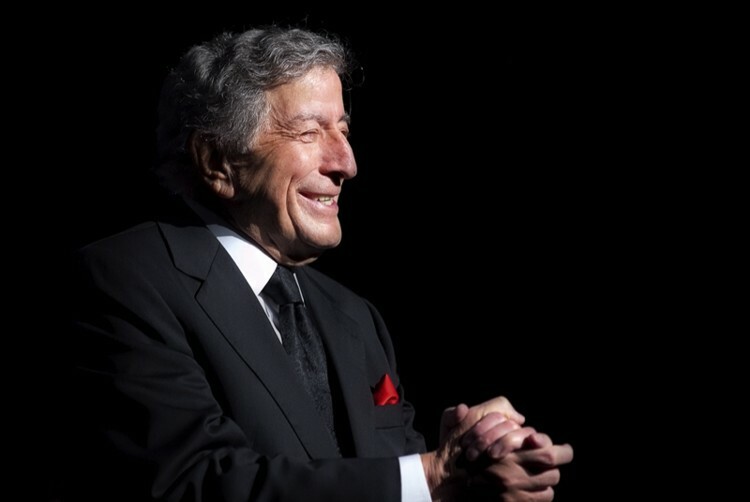 It would have been utterly unimaginable to either man then that over 60 years past their meeting, Tony Bennett would be standing onstage at Seattle’s beautiful Paramount Theater, still singing with the same instantly-recognizable voice to a thrilled capacity crowd. I almost hate to mention that Bennett is now 85 years old, because of the assumptions that come with judging anyone who has reached advanced years. Bennett is not “great for his age;” he is great on any measure for any age: pitch, power, presentation, all 100% on. 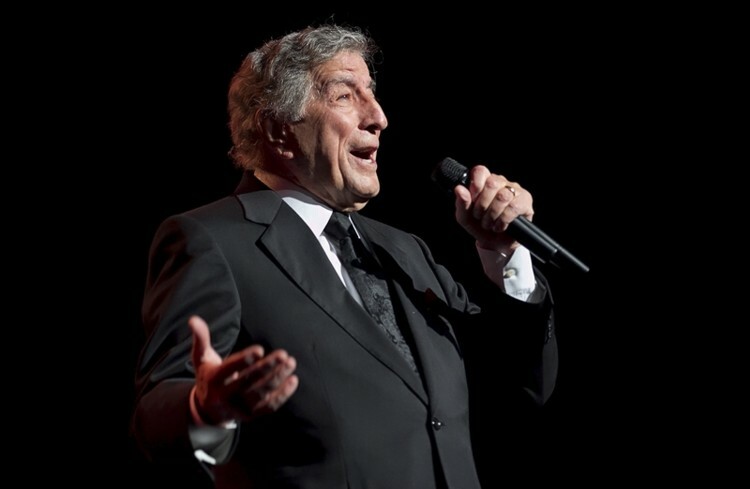 In that he makes whatever difficulties age may have brought to him seem nonexistent for the time he spends onstage entertaining people, he is all the more a remarkable person. Indeed, there was no slacking from Tony the entire evening. 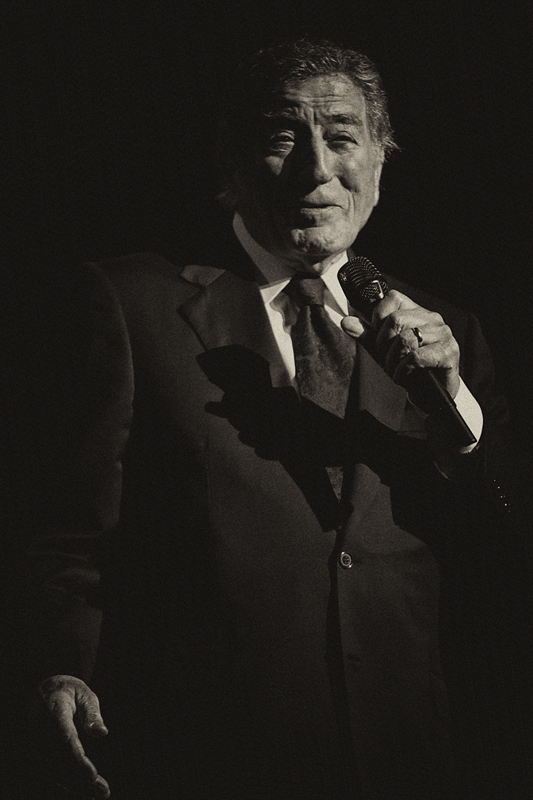 His Paramount performance delivered song after song after song, a wonderful range of material from American jazz, show, and classic pop standards (“The Way You Look Tonight,” “The Best Is Yet To Come,” “Maybe This Time, “I Got Rhythm”) to “the 1st pop-country crossover hit,” Hank Williams’ “Cold, Cold Heart,” to some Christmas cheer (“White Christmas”). 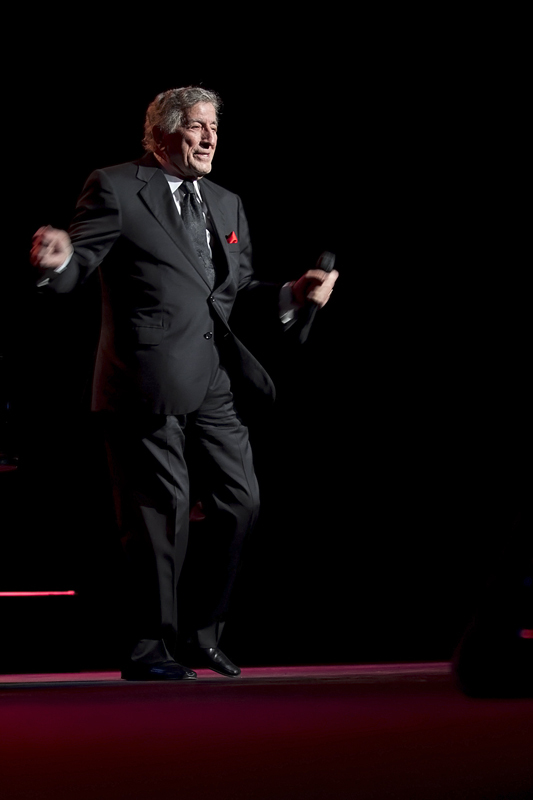 There were so many songs I honestly lost count, but no doubt some of the biggest cheers of the night went to Bennett’s signature song, “I Left My Heart in San Francisco,” first released in 1962. Without a doubt, the highlight of the night for me (and, I think, surely many others) came near the end of the night. Bennett had been speaking of how lovely the theater was, how “they don’t make ‘em like this anymore,” and encouraged us all to support the Paramount. 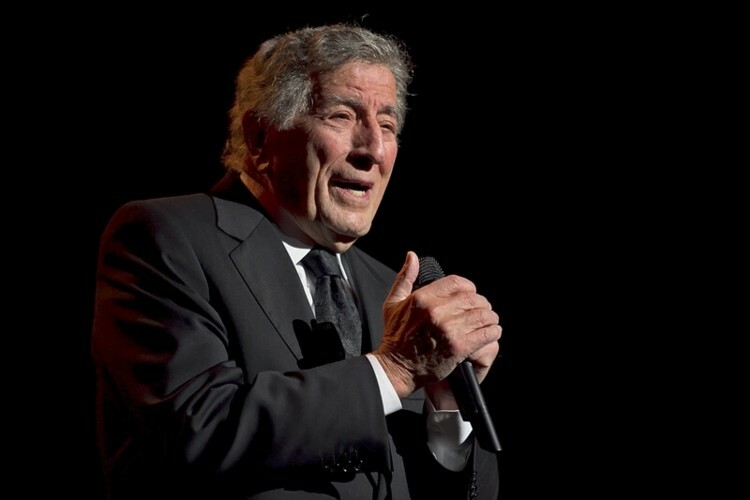 He continued, “If it’s OK with my soundman, I’d like to show you how special this building is, what it was designed for.” Bennett then waved at the soundboard at the back of the hall and requested that all the microphones and the PA system be shut off. 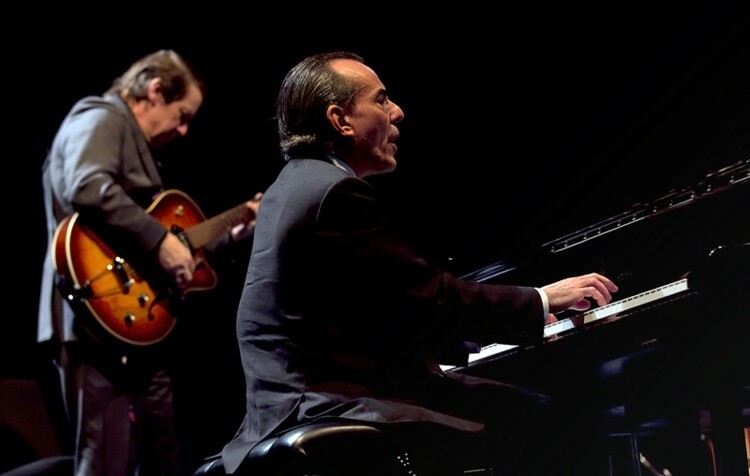 Sargent quietly stepped up with his guitar alongside Bennett, who then gifted the hall with a textbook demonstration of both fine acoustical design and amazing vocal talent as he sang “Fly Me To The Moon,” with no amplification whatsoever. 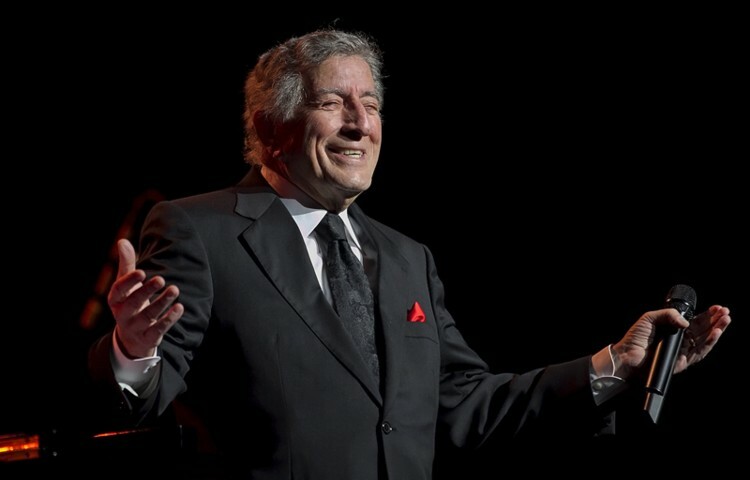 “Wow. . .wow. . .” I heard one woman speak to herself, and others in the crowd gasped as Bennett took the song’s soaring melody and delivered it beautifully, even to the very back rows of the upper balcony. How does he do it? 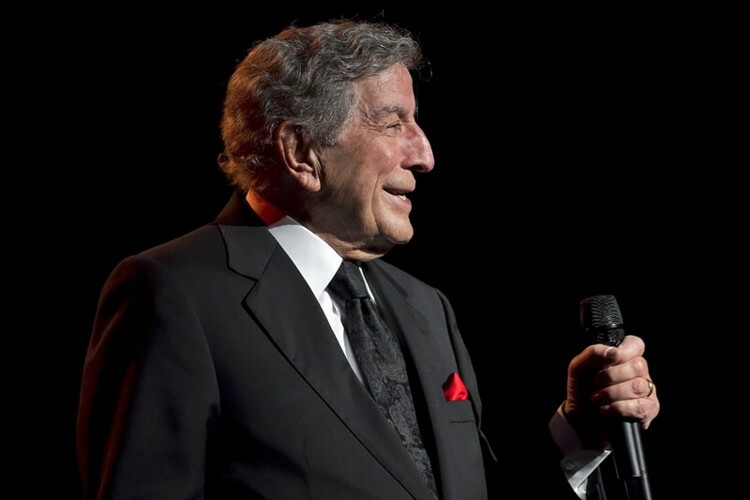 How did Tony Bennett beat the incredible odds to rise from a childhood marred by poverty and loss, survive one of the most brutal engagements of WWII, achieve huge career success just to lose it to changing times and personal troubles, to reinvent himself in his later life as an even-more successful musician and fine artist? I think I know a few of the answers. He’s always been a hard worker, and was from the very start dedicated to learning how to sing well and how to preserve his voice. He knows you are only as good as the songs you sing, so he’s always chosen ones that are superb. He knows you can never, ever phone in a performance. 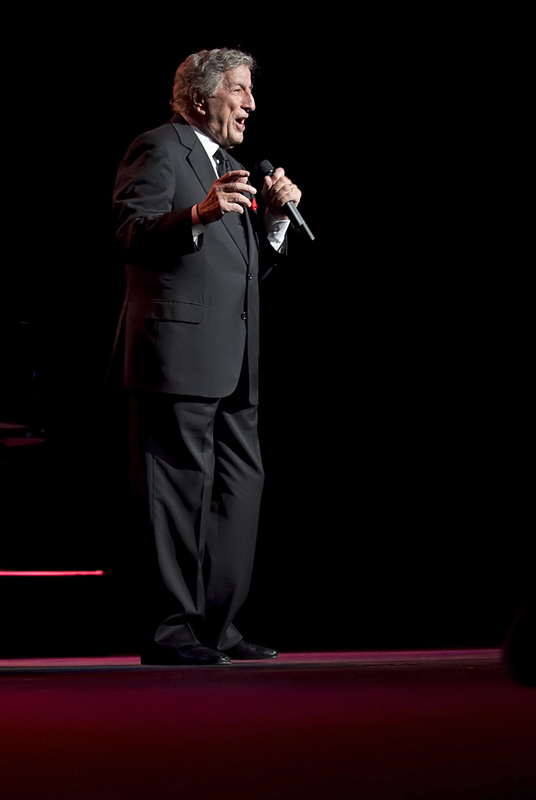 He knows that every time you sing a song, it must belong to you, all the notes and the words and the feelings they evoke, and then you bring it to the crowd as if you are singing to each individual personally, telling their stories. He knows that you need to know who you are, your strengths and weaknesses, and must always strive to improve everything you do. He knows you should keep an open mind, keep working, be grateful for your good fortune, and never give up. There are great concerts, and then there are events that can only be called inspirational. 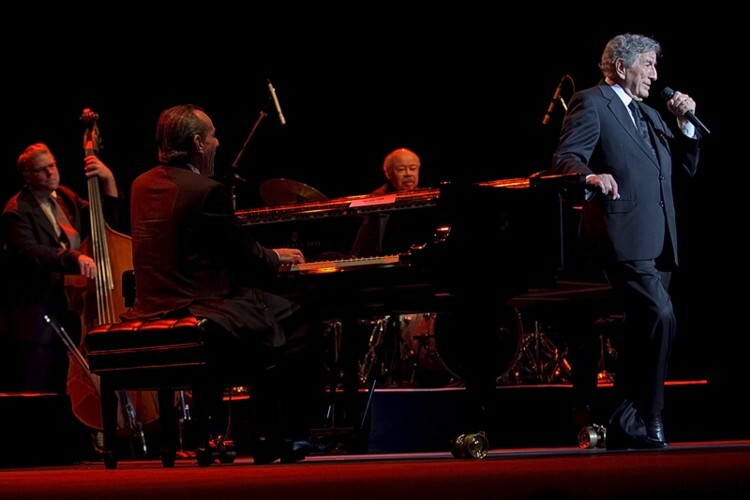 I don’t think anyone who attended Tony Bennett’s show at the Paramount will soon forget the night. It was Bari, Bari good to us. . . forgive me, Bob Hope! Antonia Bennett, Tony’s lovely flame-haired daughter, opened the show with a short but entertaining set of jazzy, bright tunes, and joined her father onstage for a duet and dance later in his set. Check out Marianne’s photos on Flickr as well! Written by: BBS on 12/20/2011. This entry was tagged antonia bennett, Marianne Spellman, tony bennett. Bookmark the permalink.